Have you heard about the Texas A&M-Chevron Engineering Academy at Dallas Community Colleges? The colleges of DCCCD and Texas A&M have teamed up so that you can pursue your engineering degree. As part of the program, you’ll spend a minimum of one year or a maximum of two years co-enrolled at one of the colleges of DCCCD before transitioning full-time to Texas A&M University in College Station to finish your bachelor’s degree as an Aggie. We have the inside scoop for you about this exciting program. Check out this interview with Christian, he is a current El Centro student enrolled in the Texas A&M Engineering Academy! 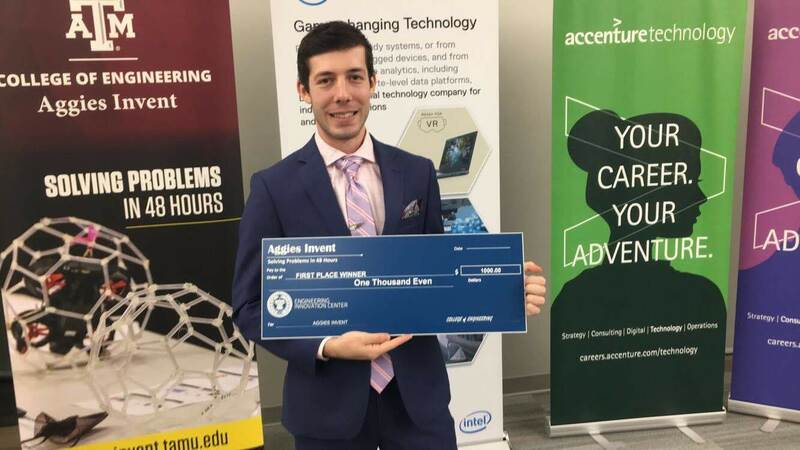 Christian won a prestigious award from Dell and Accenture during this year’s Aggie’s Invent. What is your favorite part about the Engineering Academy? What are engineering classes like in the academy? What high school classes prepared you for college? What does it take to succeed in engineering classes? Tell us more about your experience with Aggie Invent and your award from Dell and Accenture. Ready to Start Your Engineering Career? To get started, complete the Dallas Community Colleges admissions process, pre-qualify for the Academy and finally complete the Texas A&M application. Next Post Interested in Studying Cyber Security?